Mustang Material Handling is a dealer for all Starrco products and modular systems. Check out the range of products from Starrco below. 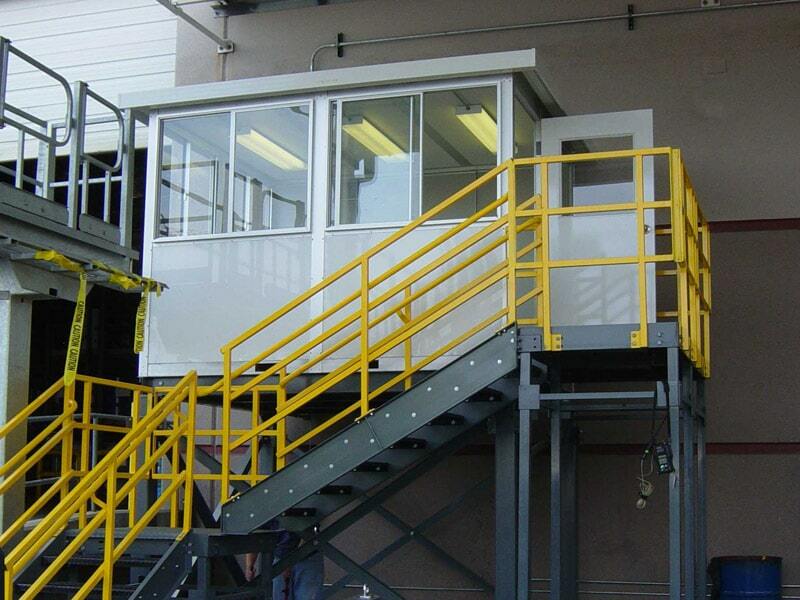 From total pre-fabricated office systems to portable units and guard rails, there is a solution for your needs. 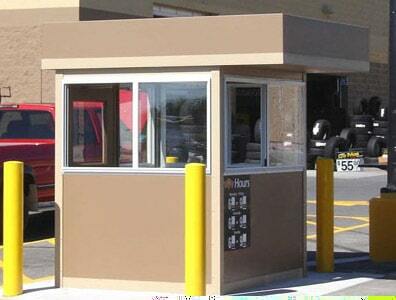 We are able to install any modular unit that you may need for your facility. No job is too small or too large. All material is pre-cut, mitered and completely finished. No taping, sanding or painting. The installation is completed in a fraction of the time of permanent construction. Saves time, money and taxes. You get the tax advantage of 7 year depreciation as opposed to 39 years required with conventional construction. 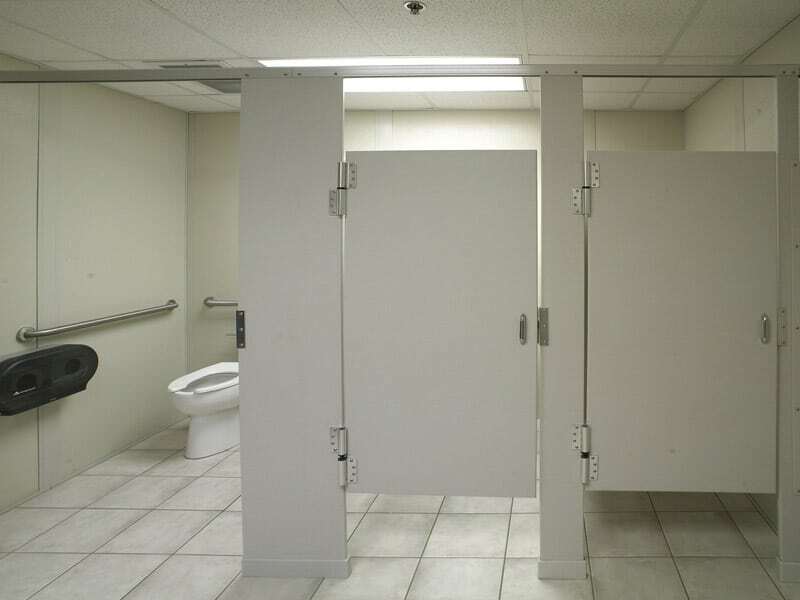 Load bearing capabilities, including 40′ clear spans. Wall finishes include steel, aluminum, FRP, vinyl covered gypsum and hardboard. If you are looking for just about any type of modular system for your facility or warehouse, please call us at + (330) 753-7225. Mustang Material Handling has a qualified team of skilled estimators that are available to recommend solutions for your facility. Mustang Material Handling sells, services and installs modular systems, pallet racking, and warehouse equipment for customers in the Akron, Canton, Toledo, Cleveland, Youngstown, Columbus & Dayton Ohio areas, just to name a few. Modular office buildings designed by Starrco provide pre-fabricated construction for your temporary office needs in addition to your permanent modular office buildings and in plant offices. When varying business demands require different space solutions, Starrco modular office systems offer a cost effective and quick answer. 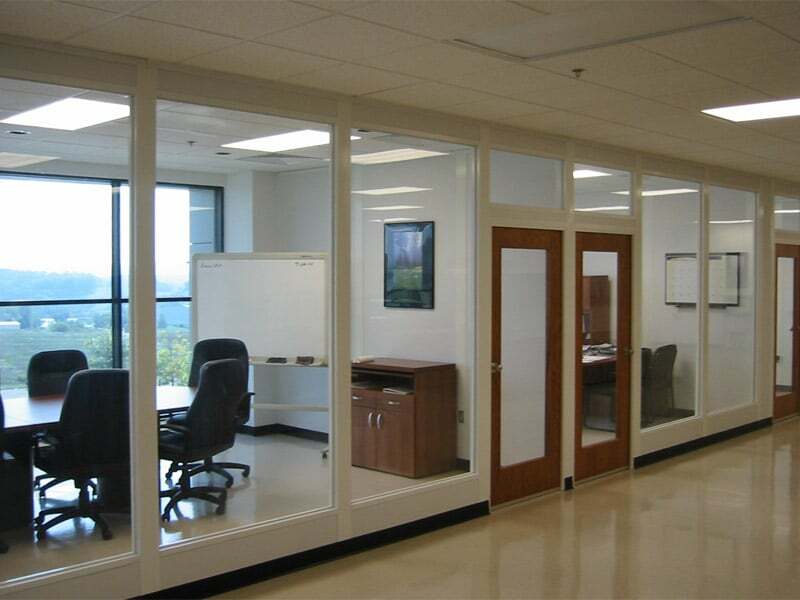 Modular office partitions and modular office wall system solutions from Starrco are flexible in their configuration possibilities. Whether you need modular office partitions to fit into your existing space or a complete portable office partitions solution, Starrco can engineer the perfect modular wall system to meet your needs. 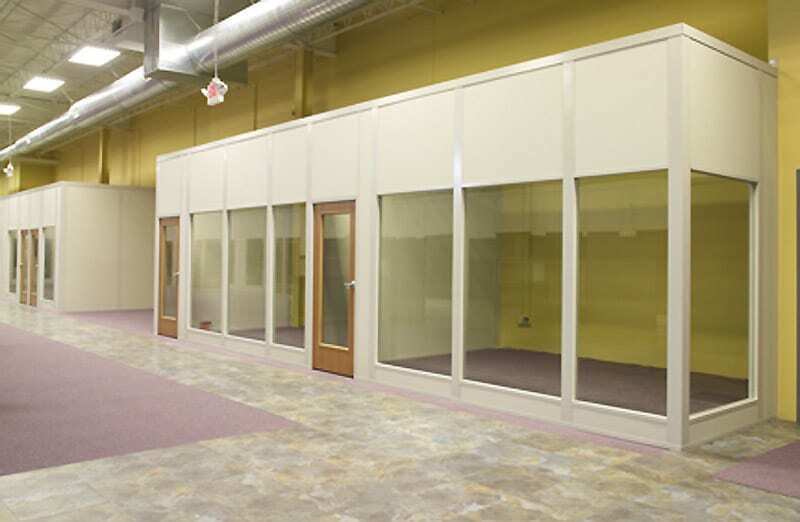 Our modular office partitions are available in a variety of colors and finishes. All materials come completely finished and require no sanding or painting. Starrco’s wide variety of materials, finishes and colors allow owners, architects and contractors the freedom to design offices, from high profile administrative offices to industrial applications. 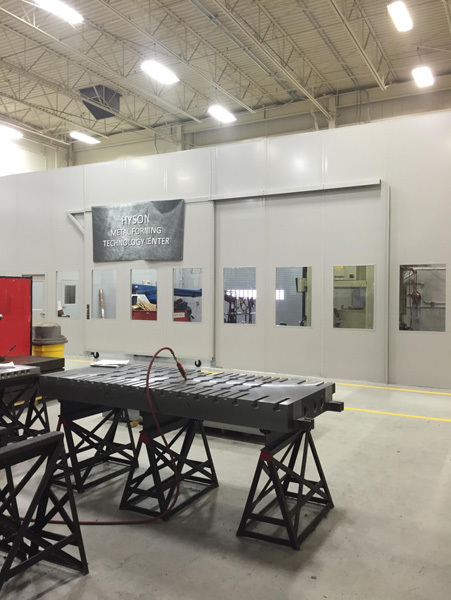 Clean Room systems can provide a challenge, but Starrco has many solutions to meet many demands in a pre-fabricated modular system. 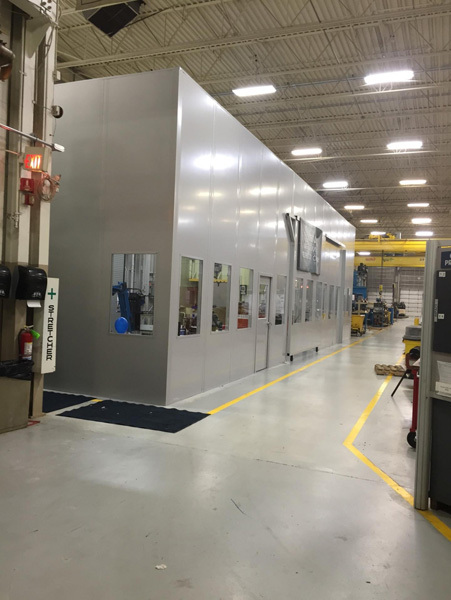 Modular clean rooms from Starrco lead the industry in cleanroom wall systems that are pre-engineered buildings, manufactured specifically for your application. 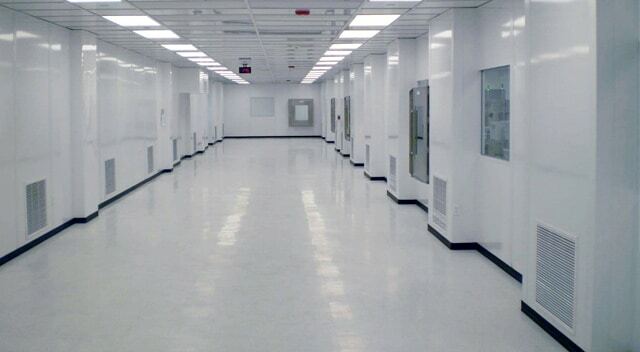 Starrco modular portable clean rooms will provide you with the most cost-effective cleanroom environment construction. Starrco modular portable clean rooms can accommodate anything from a sound or equipment enclosure to pharmaceutical applications. Our interfacing modular wall systems, floors, ceilings and mechanical components will provide a contaminant-free environment, effectively allowing control of air flow, pressure, temperature, humidity and filtration. Since all material is pre-cut, mitered and completely finished, installation is completed quickly; with minimal mess, dust and disruption. 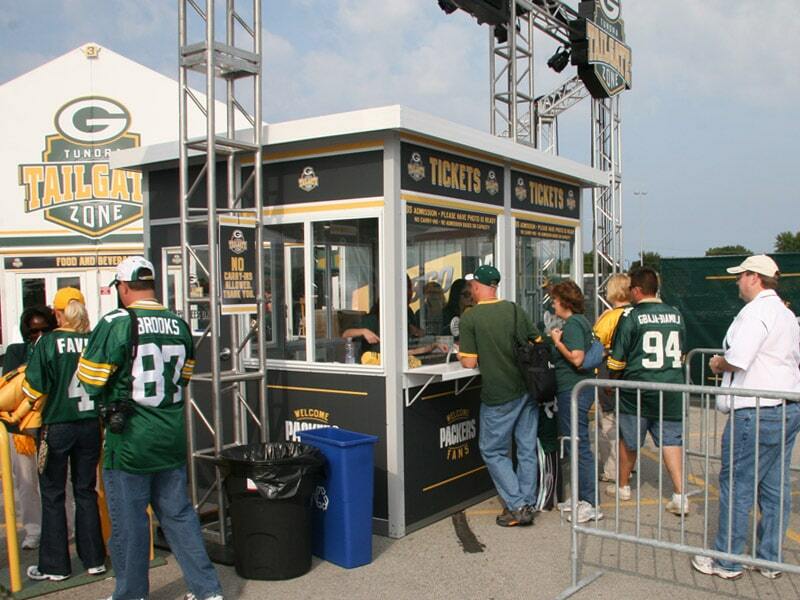 Portable office buildings and portable offices are ideal for both interior and exterior uses including kiosks, parking booths, airport taxi dispatch offices, toll booths, security guardhouses, ticket booths, airport rental car offices, and cashier booths to name a few. Our prefabricated buildings and portable offices are designed to provide years of maintenance free service. The structural members are either anodized aluminum or steel with a rust retardant finish. Walls, ceiling and floor have a solid impact resistant core with a durable aluminum or vinyl covered finish. 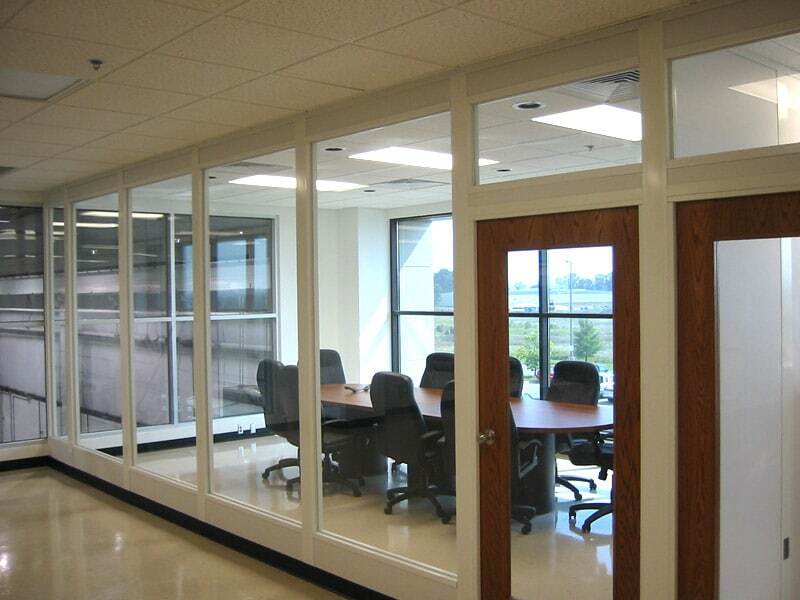 Windows and sliding doors are aluminum finish, swing doors are commercial grade steel. 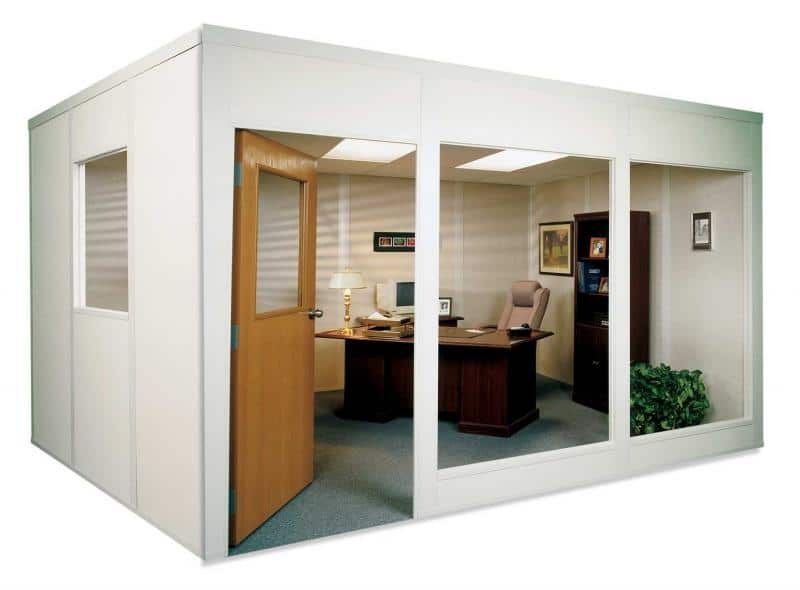 We do offer modular office systems for just about any purpose – such as shown below. Call us 330-753-7225 for more info.